The Gold Street Gossip Shop puts on a good one . . . So, Colonel T of the Fourth Light Punjab Horse was there, and played some blisteringly good guitar solos. Ben The Banker was there and played some sweet guitar, Sebastien was there and forgot to drum loudly or lose the the beat; Doug Haircut Kuhn held sway on his stick thin bass, Ivan turned up without his bass, and Dave Taylor turned up with his. Not many singers at first, but some fine trumpet from Sumire, plenty of solos from Peter Cole, who seemed to enjoy the space, and some ace piano from Bob and then Don Fraser later on. The Hirsh played some sublime percussion. Chris (tonsils) and Bruce (drums) contributed a fine set, most probably in the key of J# minor, which seems to be one of her favourite keys. This article may be copyright as we cannot remember who we pinched it from. Please feel free to copy it and publish it under your own name as we would rather they sued you than us. This article may contain facts. We do not warranty any of these facts to be true. If you are allergic to facts, or in any way gullible, please stop reading this immediately. You may wish to apply for a position with the Herald Sun. If you thought you were at the Jam Session, and we have not mentioned you it is either because you are so young, talented, and good looking that words fail us; or we forgot. Your choice. Band Registrations closed on Friday, and the final total would appear to be around 85. The Playing Schedule will be sent out to Band Leaders today, and tomorrow 98.4% will send an e-mail back asking for it to change. The following day we will be sending back an e-mail saying it is not possible without giving a band preferential treatment. · Old Castlemaine Gaol, where we will be putting all the saxophonists for the weekend, (just kidding) which is a great venue capable of holding a big or small audience. · The Five Flags Hotel: This one is 354.6 kilometres out of Castlemaine, and will require six cut lunches and a camel train should you travel out there. At least when arrive, it is a great venue, serves a rather decent beer, and has a good menu. 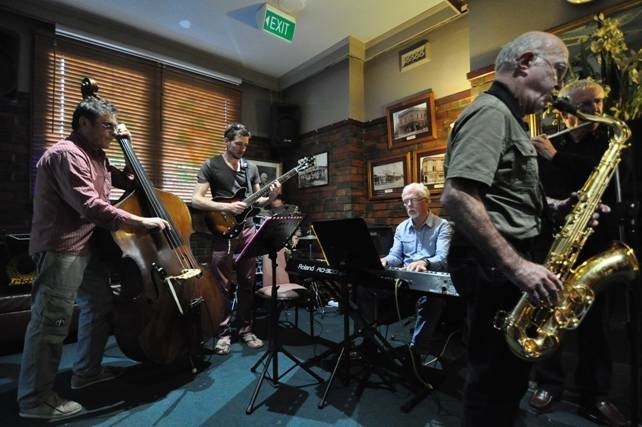 As last year, the Castlemaine Jazz Festival is featuring a real musician – the incomparable Bob Sedergreen will be giving two master classes – free to Festival ticket holders. More details to come, but I am quite excited by this one. A number of regular jammers have indicated they will be happy to volunteer for Box Office, Minibus, Door Manager and Sales Manager slots at the Festival … but nowhere near enough. Just drop us an e-mail or let us know at the Jam Sessions if you can do this – it involves a couple of sessions plus a free weekend pass. This is now being updated on almost a daily basis – so you have absolutely no reason to sit at your computer working when you could be browsing… more bands being featured, updates on the venues, the masterclasses, the steam train, the meaning of life, etc.etc. Thursday night at the Laika was … well, weird to start with. Absolutely no one there, so the Sevil Sabah trio decided to hold a private concert for Manuel behind the bar. Which went pear shape as more and more people piled into the bar – ended up a busy night and we left the joint pumping at 10.30 when we finished. This week Ruby Rogers! – with Daniel Pickard on bass, not sure who on sax and meself on keys. Melinda Traves will be sulking in the tour bus as usual, but the rest of us will be having a ball – if you haven’t seen Ruby, you should, if you have, you will want to see her again..
And next week, the return of Katerina Myskova. “Standing Tall” (a band that formed from members of the Sunday jams) is recording an album of songs at Pughouse Studios. You have the chance to procure the album ahead of everyone and contribute to its production by going to http://pozible.com/standingtall and taking up one or more of the rewards that are offered there. Even small contributions will help us get our music out to the world and to you. And you will be well rewarded. The Laika Bar: The standard goes up . . .
Last Friday’s session from Katerina Myskova was absolutely hot – so much so that she will be back on May 1stt. . 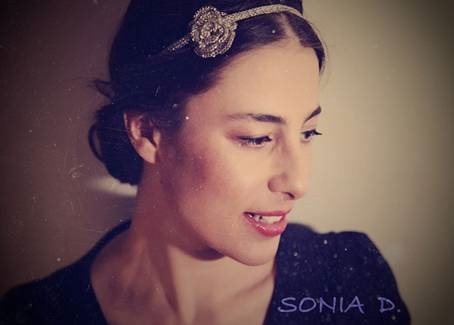 This week see the return of Sonia D, with Daniel Pickard on bass, the Captain on sax and meself on keys. Sonia has produced a couple of lively sessions at the Laika – what will she come up with this time? Of course you can never be sure, but I think Doug, the Captain and Meself will be driving down from Castlemaine to accompany the ludicrously Divine Miss Smith herself, no less. LUXOR BAR, 124 Lygon Street, Brunswick East, The Divine Miss Smith takes charge of the Captain Chaos Quartet, and we all know what that could mean… There will be dancing on the tables, if we can find any. And the Lunatic Soup Lounge takes another turn . . . If there is a constant, it is that nothing stays the same for long in Colliwobble, mystic kingdom of the one eyed three toothed black and white Harridan that drives some many of the local lads to the sanctuary of the front bar. From where, last Sunday, they could have heard some remarkable jazz. 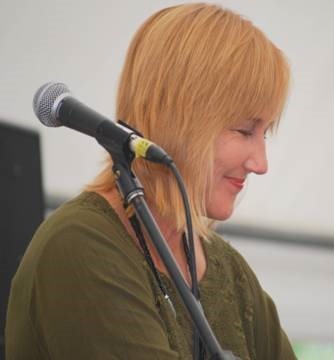 This last week or two has seen a resurgence in the tonsil department – first Katerina bounced in (of whom, more below), then last week Catherine McQuade, who runs a frock shop in her spare time, sang some cabaret style tunes. All class, although you might not have heard it under the cacophony of saxophones and guitars providing helpful accompaniment, but that is the essence of a jam session. Probably helped along by bassists, Doug Haircut Kuhn, David no haircut at all Taylor and Ivan the Terrible back from the caucasian snow slopes. Class bass all afternoon makes for a very good jam session. Monsieur Sebastien was so moved by it all he produced his very best percussion for the day – and when he is good, he is very good. And the Captain himself was in fine form, deftly handling the band changes all arvo whilst confusing anyone who looked like they knew what they were doing on the basis that the field need not be uniformly great but at least it should be level. The Jams are looking up – catch one whilst they are hot!. Apparently ticket sales are already going well, which seems a bit strange as we had sold about three by this time last year. Our cunning Box Office wallahs are devising a system whereby people with pre-purchased tcikets will get the express lane treatment at the Box Office. The next Soirée Musique is on Friday 24 April 2015, 7:30-11:15pm at Ember Lounge, Northcote. Take a look at the event page to see what’s happening, how you get on the programme, &c.
Join us for some Australian big band jazz!